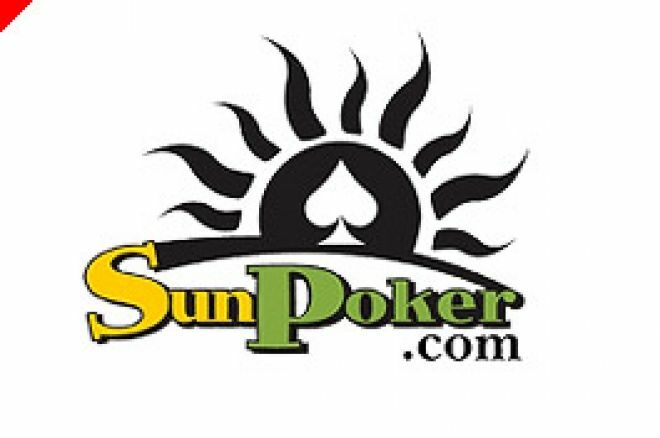 We recently added Sun Poker to our family of online poker room reviews. We love to find the best promotions for our readers and in the past we've served up some tasty bank roll boosters. However, Sun Poker's 'One Sick Promo' is in a different league! The WSOP gets a lot of coverage in the poker press, rightly so, it is our sports world championship after all. Sun Poker ask visitors to their web site: "Is it too early to start thinking about the 2007 WSOP?" Quite clearly, the boys at SP think not! Sun Poker are on a mission, a mission to find a non-US winner of the 2007 WSOP main event. Private Jet to Vegas - Tired of flying for 10 hours in the armpit of a 747 to get to Vegas? The top 5 players in the One Sick Promo will arrive in Vegas in style (along with a friend) on the Sun Poker private jet. If that's not sick enough for you, the top MPP earner will pick up $5,000 in spending money. Even the 5th place player will grab $2,000. Vegas Mansion - Vegas has some of the finest hotels in the world. However, forget The Bellagio or The Venetian, live your Vegas life in luxury at the Sun Poker mansion, described as '10 bedroom palatial estate with all the trimmings'. This package is available for the top 5 players in One Sick Promo. Premium Accomodation - Didn't make the top 5? Don't worry, you can still live the high life in Vegas. Players 6th - 10th get to stay at a 5 bedroom villa in this Desert oasis of Las Vegas. With your own private pool the Platinum House is an awesome place to stay. Players 11th - 15th can also stay in luxury via the Gold House package. Silver House packages are also available for players 16th - 20th. $50,000 H.O.R.S.E Seat - Referred to as the alternative WSOP main event, the $50K H.O.R.S.E tournament tests the skills of poker players to the limit. You can win your seat in this event by accumulating 50,000 MPP's and qualifying via the special freeroll. Freeroll Spending Money Packages - Made the top 100? Woohoo! How about a little extra to really sweeten that achievement? Players 21st - 100th will have the chance to win hotel accomodation, flights and spending money in this freeroll tournament. MPP's are earned from your real money play. The more you play, the more you earn. One Sick Promo has just started so get playing today. See you in Vegas!